Dr A Gopalakrishnan, former chairman of the Atomic Energy Regulatory Board (AERB) has accused Government of India's three arms handling nuclear energy – Department of Atomic Energy (DAE) , Nuclear Power Corporation of India Ltd (NPCIL), Atomic Energy Commission (AEC) and AERB – of “total lack of transparency”, allowing experts to conjecture what might have happened at the Kakrapar nuclear power plant, which “leaked” on March 11. “Public have a need to know and, therefore, the AEC and its sub-ordinate organizations need to promptly release status reports on the progressing safety incident which could affect their lives, to alleviate their concerns and anxieties”, the top nuclear scientist says. 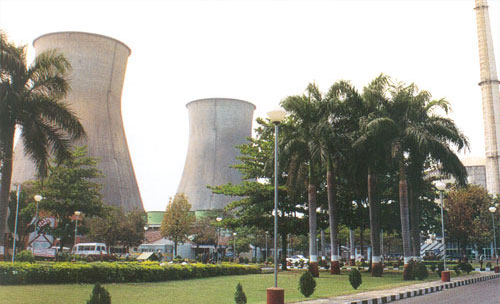 “When NPCIL officials state that the reactor cooling is maintained, I believe what they may be doing is to allow the heavy water or light water stored in the emergency cooling tanks to run once through the system and continue to pour through the leak into the containment floor through the break”, says Gopalakrishnan. “All this points to the likelihood that what Kakrapar Unit-1 is undergoing is a small Loss-of-Coolant Accident (LOCA) in progress. It is most likely that one or more pressure tubes (PT) in the reactor (which contain the fuel bundles) have cracked open, leaking hot primary system heavy-water coolant into the containment housing”, he further says. “The reactor cooling is said to be maintained which, in view of the PT breach, can only be by supply of heavy water or light water from the storage tanks of the emergency cooling systems. While it may perhaps ensure bulk coolant temperatures in the PHT system to be well under control, it could still mean fuel centreline temperatures in the channel which may have a breach could be quite high”, Gopalakrishhnan apprehends.